Light breeze, colorful leaves, bare trees, it must be autumn. 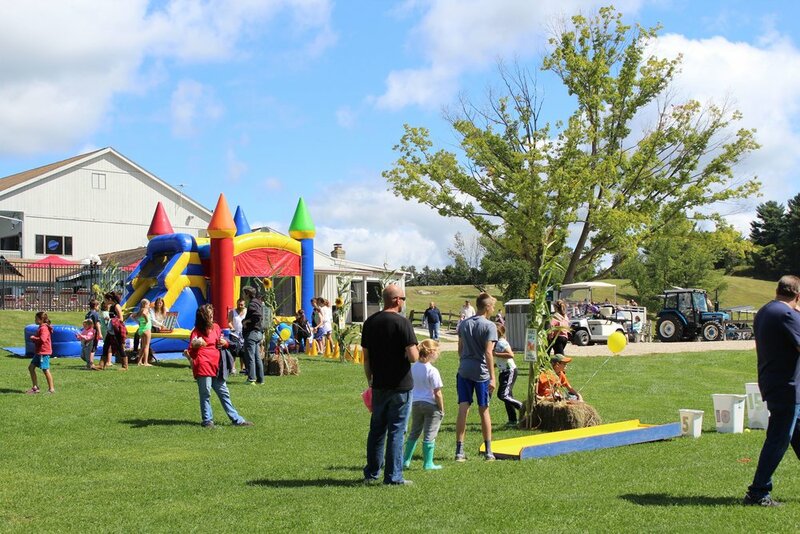 Join us as we welcome autumn with a Fall Fun Fair! Great Fall games, food, music, and more. All games are free to join. Kids play as many times as they like to win tickets for great prizes. Fun for all ages! Delicious baked potatoes with all the fixings plus roasted corn! Celebrate Fall at the Fall Fun Fair and support a great cause with lunch. All proceeds benefit our local charities. On September 7, Route 66 (CR) will be in the Hayloft Lounge from 7PM-11PM.